We are a small traditional family company, with a small group of professionals who are passionate about wine. The majority of our wines are sourced directly from the vineyards and purchased by us to give you the best quality available at the fairest price. Many of the wines we offer are exclusive to our list. Quality is the most important factor in our choice of wine, and each wine has to be a good representative of the wines from that area and country. 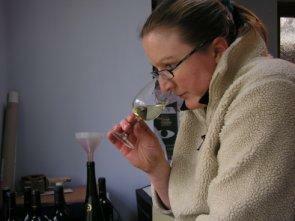 We taste ALL the wines before we buy them, and we taste every vintage of every wine before we decide to stock them. I know it's a hard life, but somebody has to do it! If a wine is not good enough or a vintage is not good enough then we will not buy it. After quality, wines are then selected for their value for money, their appearance and their saleability. We carefully (and we hope in straightforward terms), describe our wines in order to assist you the customer in finding exactly the wines you require - please note our tasting code. For customers who require additional information we are developing a 'more info' section for each of our wines with much more detailed information on each of our wines. We hold a large and detailed stock of wine that we constantly change and we have access to many many more. We are not normally able to source single bottles (except for rare and specialist wines), but for cases or more - if the wines you are looking for are not here then please contact us and we will try to assist you.